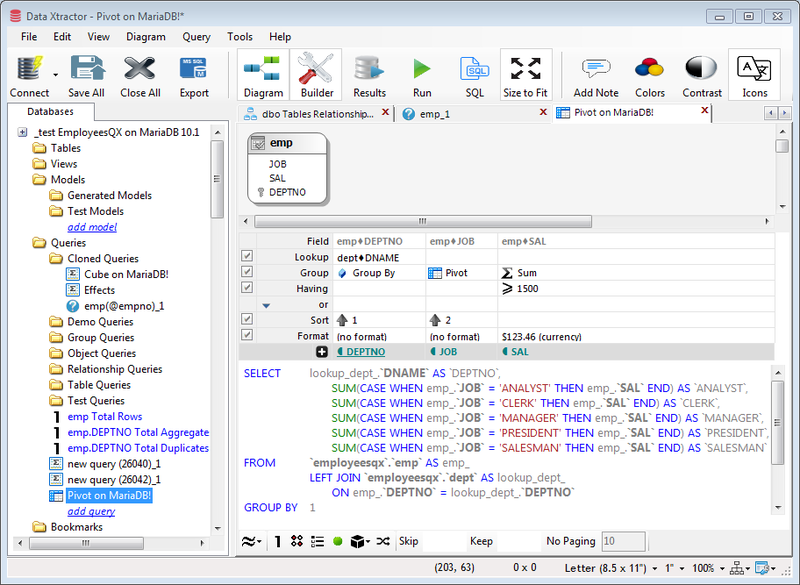 Suite with all Xtractor modules: Model Xtractor and Query Xtractor, passing through the Metadata Xtractor. Model Xtractor and Query Xtractor applications cannot be launched both in the same time. 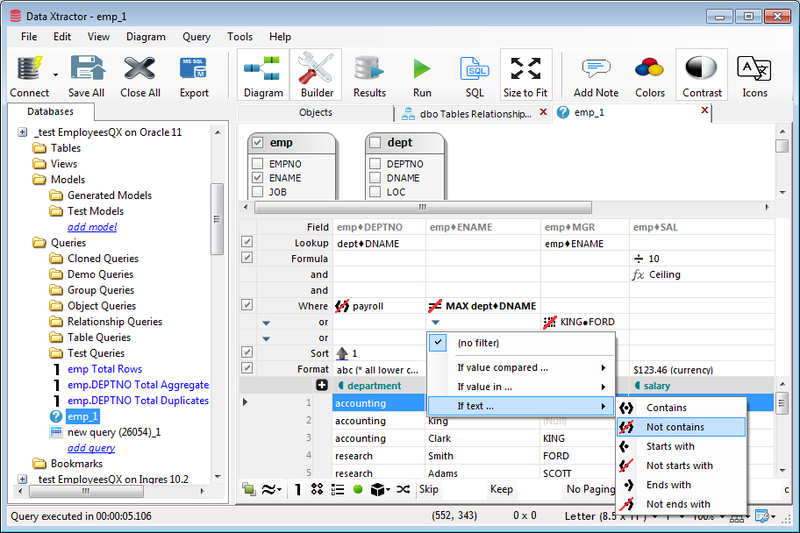 Only Data Xtractor suite allows you to use all functionality of Model Xtractor and Query Xtractor in the same time. Reverse-engineer existing database models. 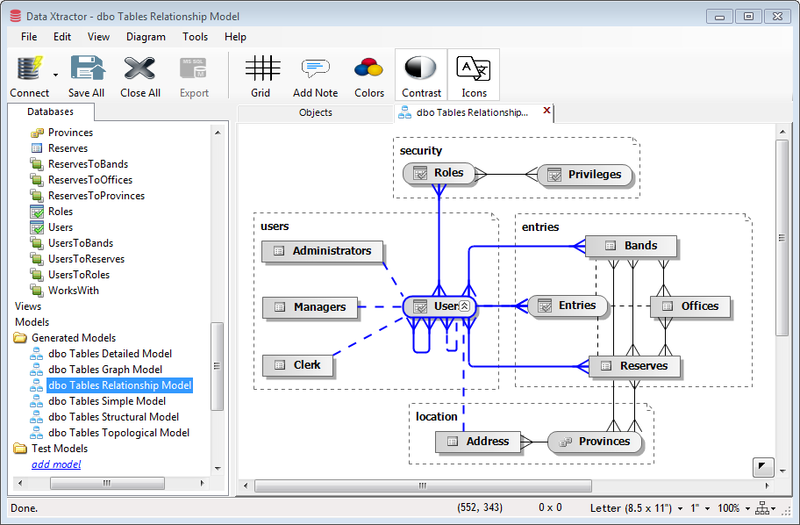 Traditional and enhanced ER data models for dozens of relational database platforms, including SQL Server, Oracle, MySQL, PostgreSQL, Azure and Amazon Redshift, SQLite and Firebird. Create simple to complex read-only SQL SELECT queries without writing one single line of SQL. No prior SQL knowledge necessary. Use this productivity tool to produce complex SQL SELECT queries within seconds, drill-down on results through aggregations and relationships, use our emulated queries to get your data fast. We emulate, using SQL, many features with native support on some database systems, but missing on other platforms: pivot/crosstabs, grouping sets (with cube/rollup), intersect and except, sequence generator, data type functions etc. For instance, this is how a pivot/crosstab query is emulated on MariaDB. Column header values are automatically detected and we transparently add relatively complex SUM entries in generated SQL. This was what a similar pivot query may produce as end results, while still in design mode.